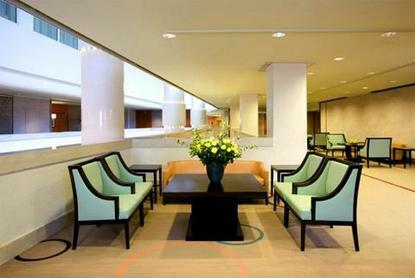 A warm welcome awaits you at the Sheraton Stockholm Hotel. Located in the heart of Stockholm's central business district, our great location allows you to explore and connect to our wonderful city. You can stroll out of our doors and enjoy the surrounding shopping, area attractions, stunning views of Lake M ren, the City Hall where the annual Nobel Prize ceremony is held, and the Old Town.Our friendly staff is available to help you make bookings and provide information and tips on just about anything you can think of that makes Stockholm tick. Share unforgettable memories with loved ones when you visit the open-air museum Skansen, with its exotic animals and heritage buildings or check out the nearby Royal Castle. Enjoy a romantic walk at sunset through the cobblestone alleys and picturesque squares in the Old Town, located just opposite the hotel.Our 15 meeting rooms make us one of the leading hotel conference facilities in Scandinavia. The largest room can welcome up to 400 guests and has state-of-the-art communication equipment. Our onsite StarMeeting Concierge is on hand to help you during every stage of your event.Warm colors and a distinct Scandinavian design give each of our 465 guest rooms an intimate and comfortable air. Sleep is a pleasure in our Sheraton Sweet Sleeper(SM) Bed, with its plush mattress, soft duvet, and crisp white cotton sheets. With wired and wireless High Speed Internet Access in all rooms, it is easy for you to stay connected to friends and family while away from home. Bring friends, family, or colleagues together and enjoy the international ambiance and the dynamic menus at our threesixty ar and Restaurant.Let us help you make the most out of your stay at Sheraton Stockholm Hotel.